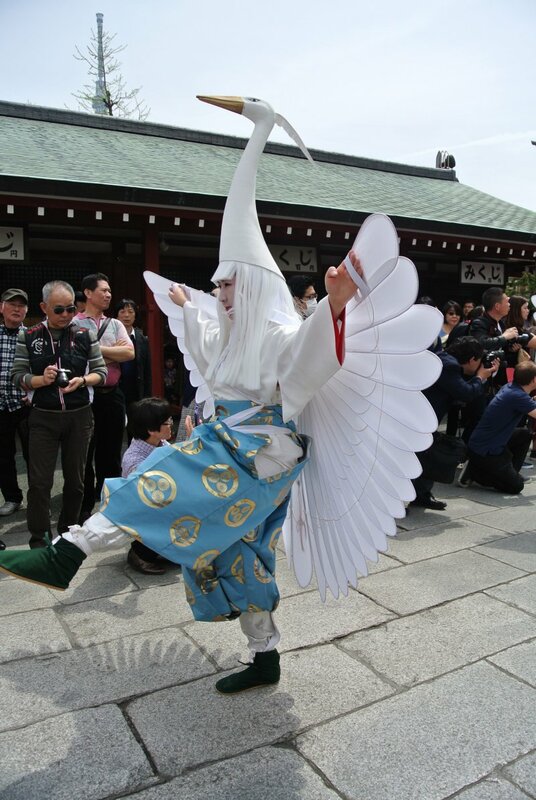 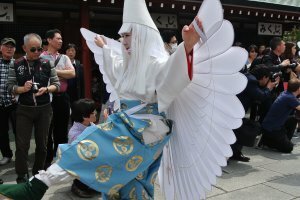 Shirasagi-no Mai or the Dance of the White Heron is a ceremonial parade that dates back to the Heian period (8th-12th century) in Kyoto but was revived back in 1968 to celebrate Tokyo's 100th Anniversary. 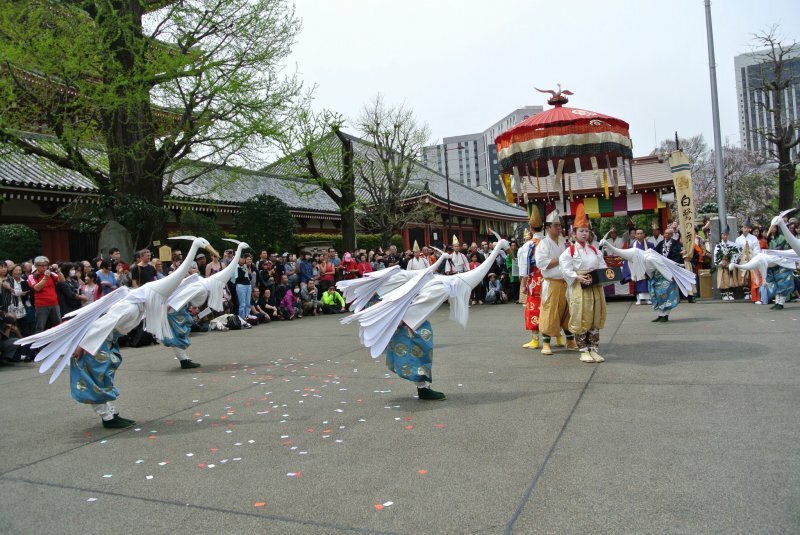 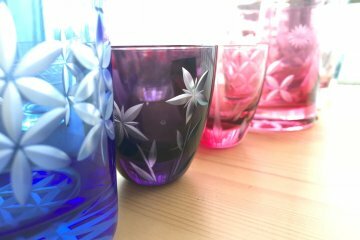 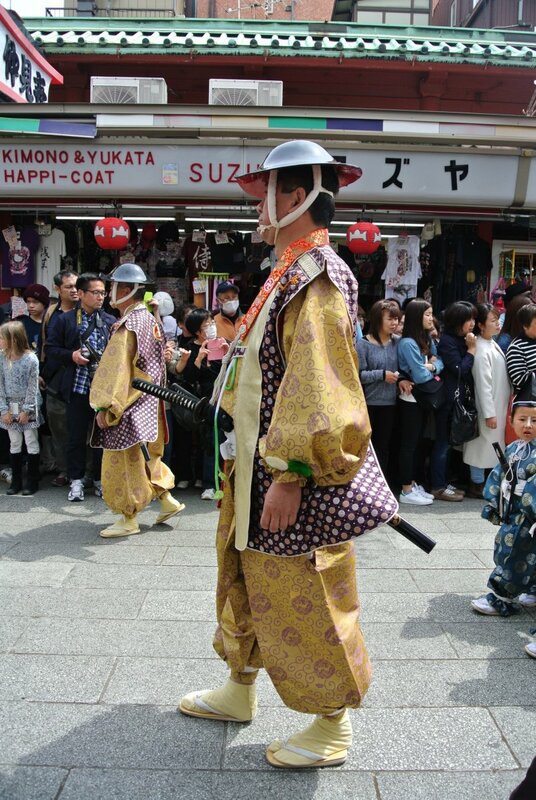 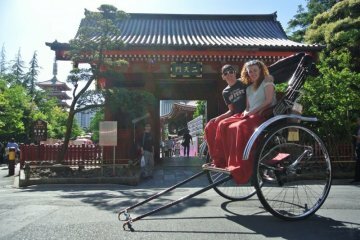 Now it is performed a few times a year on the 2nd Sunday of April and on the 3rd of November which is the Culture Day Holiday at the Senso-ji Temple in Asakusa. 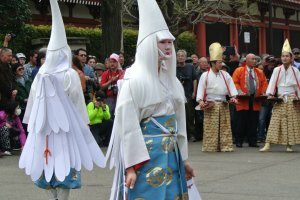 The procession includes eight dancers who are dressed in really beautiful and elaborate white heron costumes and stunning makeup complete with red eyeliner like the real birds. 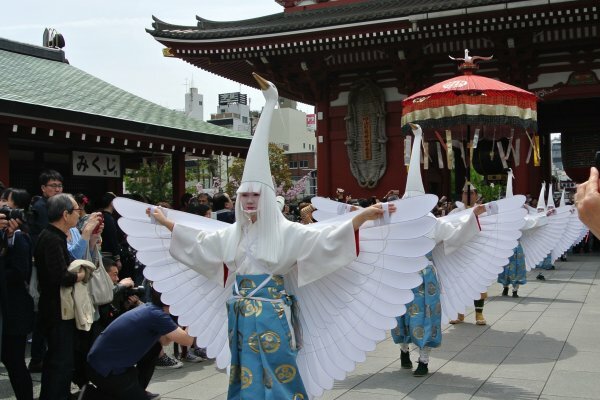 They are also accompanied by three attendants who have different roles- a bird feeder, a baton twirler, and a parasol carrier as well as a group of guardian children and a float full of musicians. 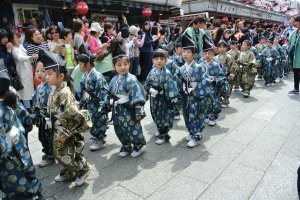 The guardian children are all local kindergarteners dressed in matching Heian period costumes with happy smiles on their faces. 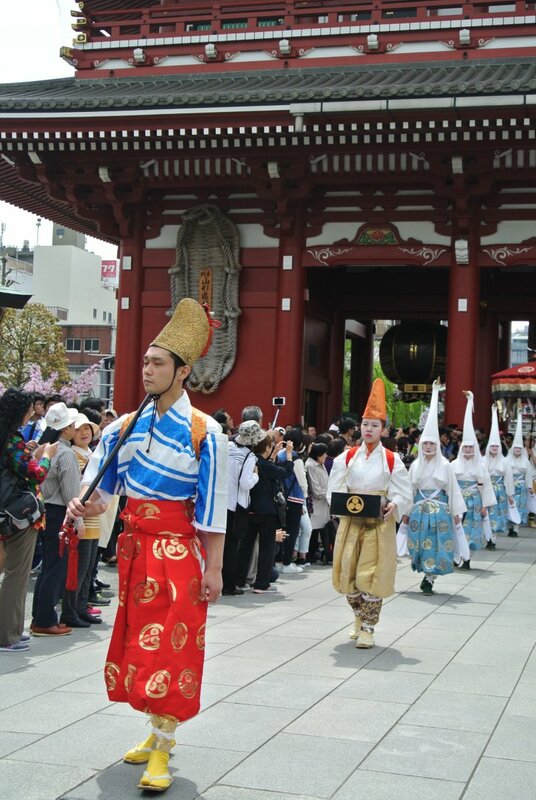 The parade commences from halfway along the Nakamise shops area and through the Hozomon gate up to the steps of Senso-ji Temple where all the heron dancers bow before running inside the temple. 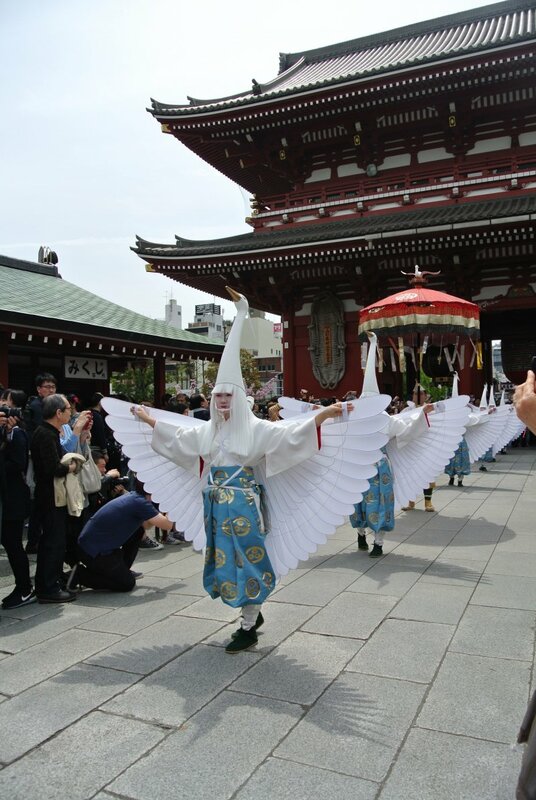 Then to the left of the temple a circle appears around the dancers where they perform to the music of the musicians. 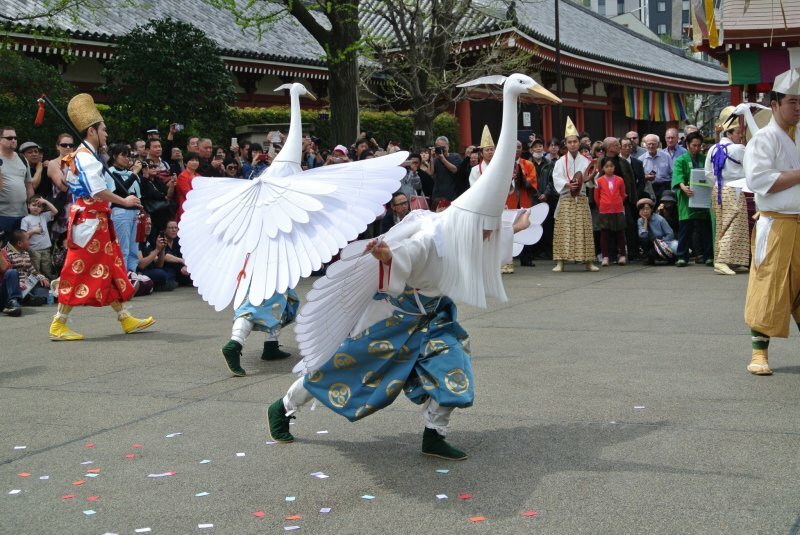 The parasol carrier stands strong in the centre whilst the bird feeder runs over to the heron dancers and throws feed out for them (paper confetti) before returning to the shade of the parasol. 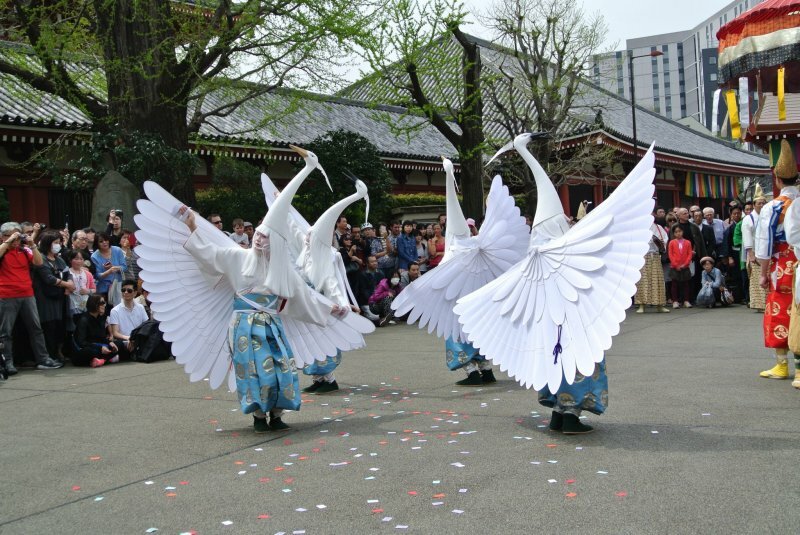 The dancers are really beautiful to watch and they are so graceful the way they move like the birds with wings spread out, one leg in the air and pecking at the ground. If you are in Tokyo on any of the performance days I would really recommend coming to Senso-ji to check out this beautiful parade. 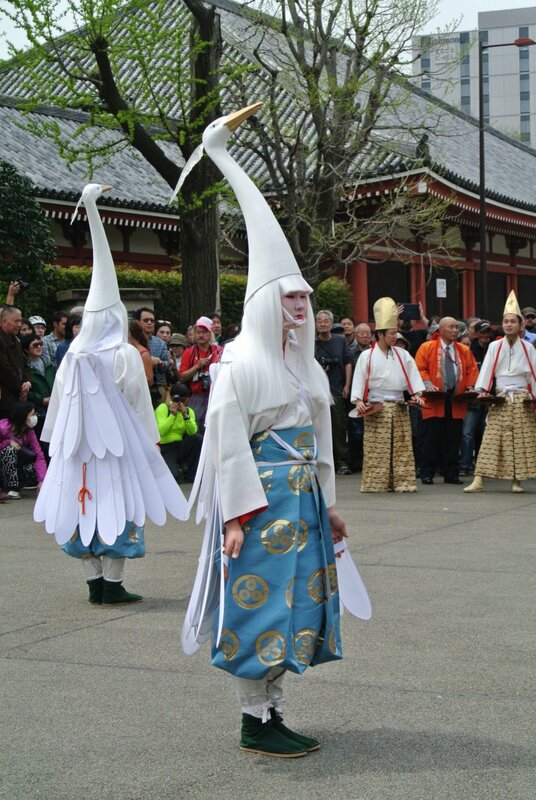 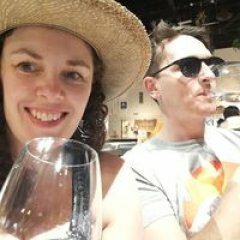 It is performed twice at 11am and at 2.30pm (subject to change) and goes for around 30-45mins from the start of the procession until the end of the performance. 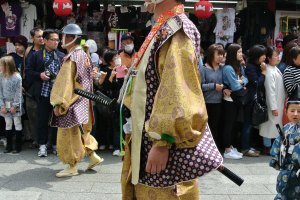 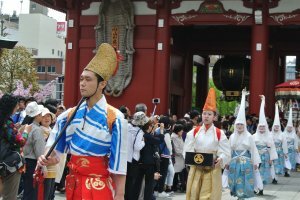 It is worth staking a spot out near the temple but the circle for the main dance won't appear until a bit of a crowd forms which appears to often be the Japanese way with these processions. 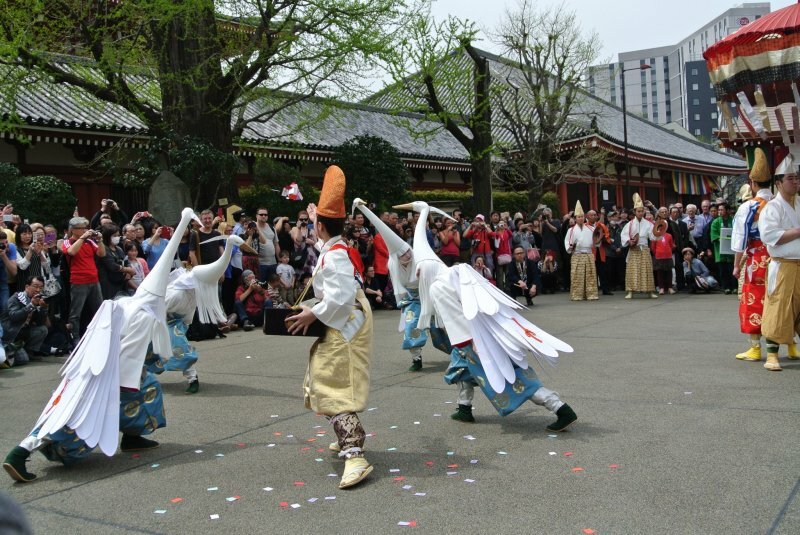 It is a great opportunity to see a traditional dance from 1000 years ago that could have been lost in time.